Charlotte Brontë did not appreciate Pride and Prejudice. She felt that Jane Austen didn't write about her characters' hearts. Do you think Brontë's criticism is accurate? Is Austen's treatment of her characters' feelings superficial? Do they feel and/or express deep emotion? An earlier version of was entitled First Impressions. What role do first impressions play in the story? In which cases do first impressions turn out to be inaccurate, in which cases correct? After Jane becomes engaged to Bingley, she says she wishes Elizabeth could be as happy as she is. Elizabeth replies, "If you were to give me forty such men, I never could be so happy as you. Till I have your disposition, your goodness, I never can have your happiness." Do you think Elizabeth's statement is true? Is it better to be good, to think the best of people, and be happy? Or is it better to see the world accurately, and feel less happiness? Mr. Bennet's honesty and wry humor make him one of the most appealing characters in the book. Yet, as the story unfolds, it becomes clear that he has failed as a father. In what ways does Mr. Bennet let his children down? How does his action, or inaction, affect the behavior of his daughters? His wife? The course of the story? Charlotte doesn't marry Mr. Collins for love. Why does she marry him? Are her reasons valid? Are they fair to Mr. Collins? Do you think marrying for similar reasons is appropriate today? Both Elizabeth and Darcy undergo transformations over the course of the book. How does each change and how is the transformation brought about? Could Elizabeth's transformation have happened without Darcy's? Or vice versa? Mrs. Bennet, Mr. Collins, and Lady Catherine de Bourgh are famously comic characters. What makes them so funny? How does Elizabeth's perception of them affect your trust in Elizabeth's views of other people in the book, particularly of Wickham and Darcy? For most of the book, pride prevents Darcy from having what he most desires. Why is he so proud? How is his pride displayed? Is Elizabeth proud? Which characters are not proud? Are they better off? 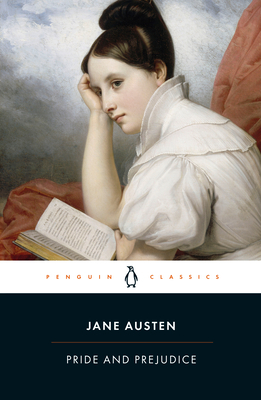 Editor Tony Tanner points out in the Notes to the Penguin Classics edition that Austen did not mention topical events nor use precise descriptions of actual places in Pride and Prejudice, so that the larger historical events of the time did not detract attention from the private drama of her characters. "This perhaps contributes to the element of timelessness in the novel," he concludes, "even though it unmistakably reflects a certain kind of society at a certain historical moment." In what ways are the themes and concerns of Pride and Prejudice timeless? In what ways are they particular to the times in which Austen wrote the book?